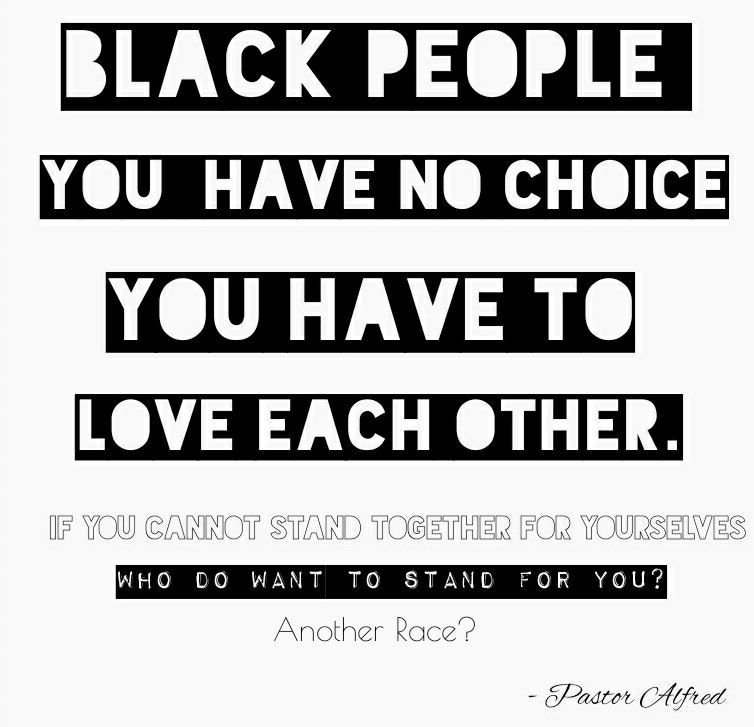 Black People You Have No Choice. You Have To Love Each Other. If You Cannot Stand Together For Yourselves Who Do You Want To Stand for You? Another Race?